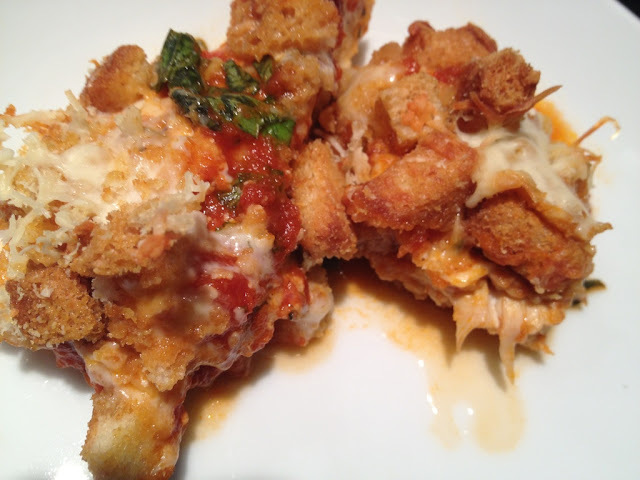 This recipe reminds me of my eggplant parmesan recipe! It is equally as delicious and healthy too! 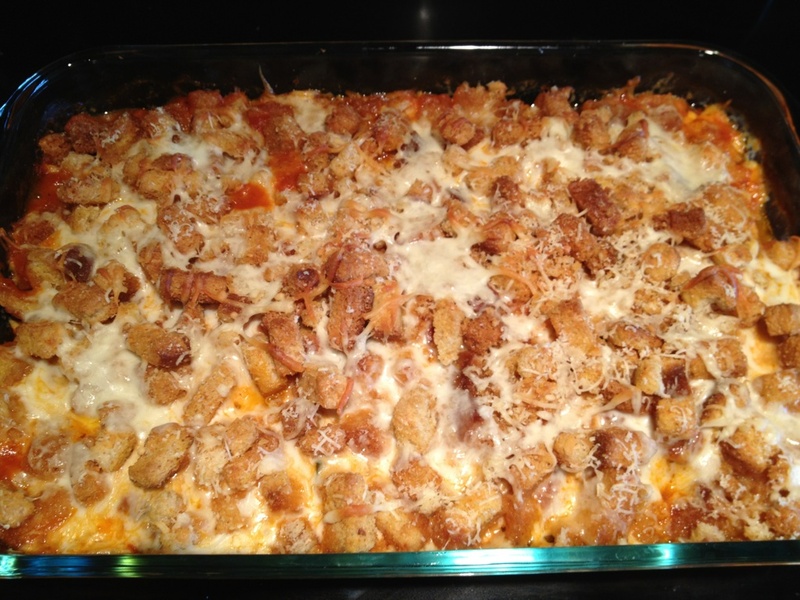 I got the base of my recipe from Mystery Lovers Kitchen and then added my own special touches to make it healthy. 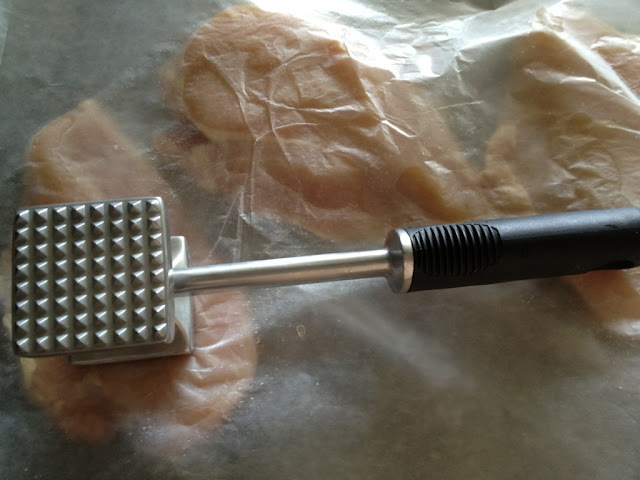 Pound your chicken breasts to about 1/2 inch thin (does not have to be exact). This will allow the chicken to cook all the way through. Then, slice your pounded chicken breasts in half. 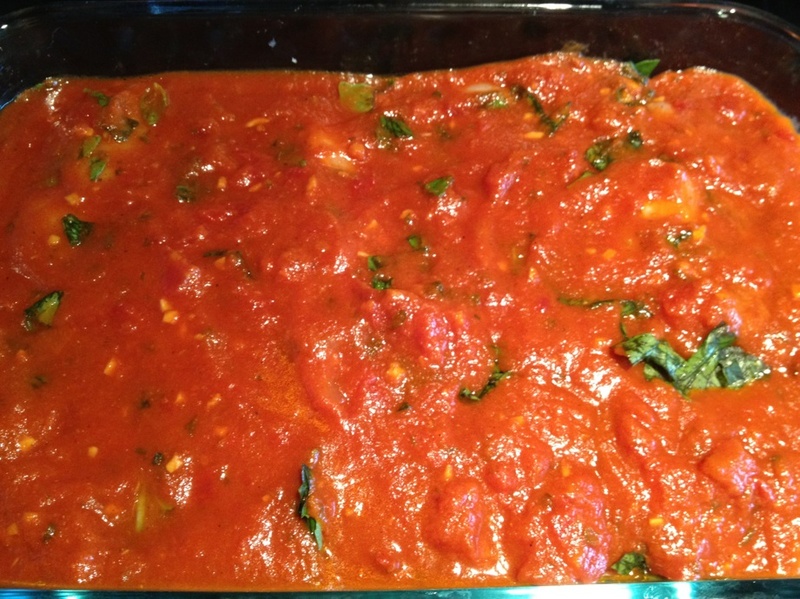 Place 2 Tbsp of olive oil on the bottom of a pyrex casserole dish (9x13"). Add your chicken to the pyrex casserole dish with the olive oil. Make sure to flip your chicken to coat all sides with olive oil. 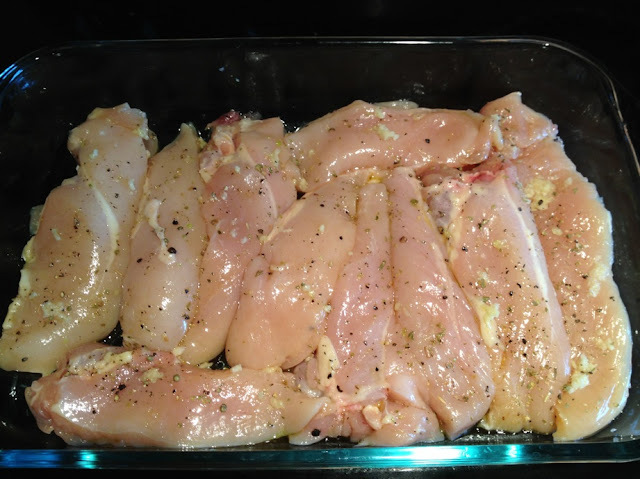 Season chicken with kosher salt and pepper, minced garlic and dried oregano. 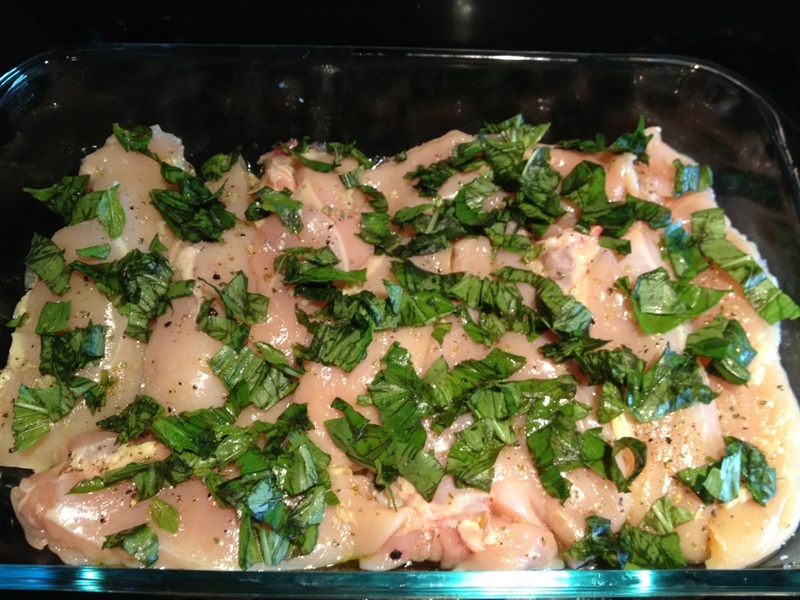 Add freshly chopped basil to the top of the chicken. Pour entire jar of marinara sauce on top of the chicken and place in the oven for 30 minutes. After 30 minutes, remove the chicken from the oven. 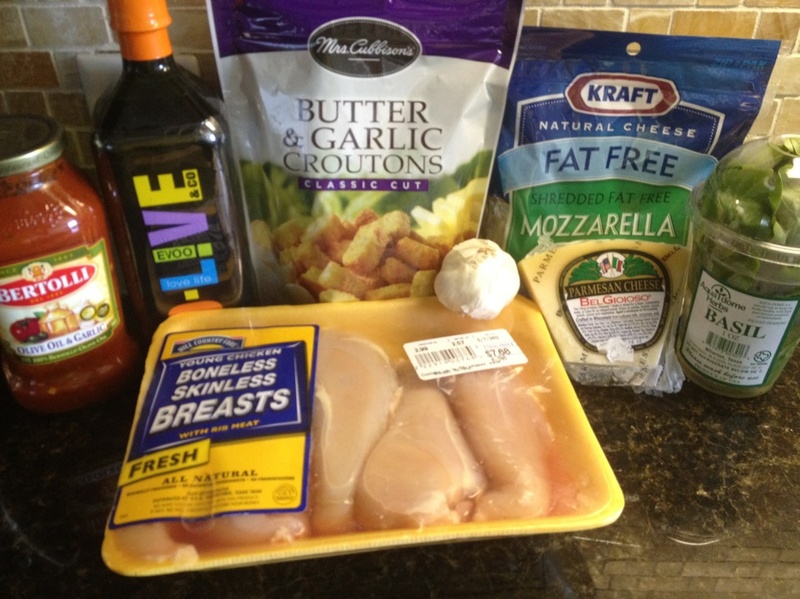 Add 1 cup of mozzarella cheese and 1/2 cup of parmesan cheese. Top with entire box of croutons and finish with the remaining cheese. 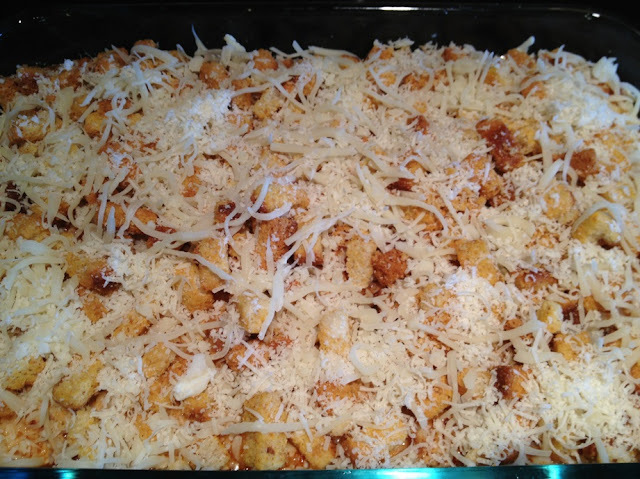 Cook for another 30 minutes until cheese and croutons lightly brown! Serve with a side salad or with pasta.